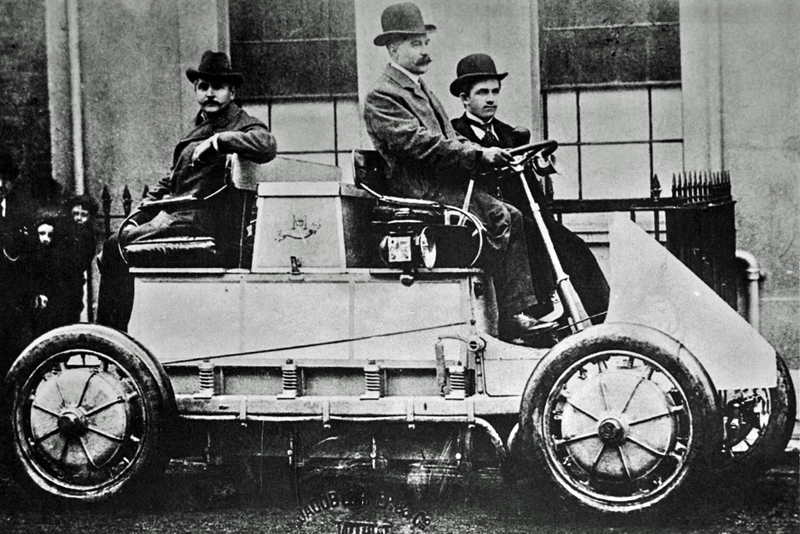 Ferdinand Porsche developed the Lohner Porsche around 1900. The original Porsche is powered fully electrically by four wheel hub motors. Let me say: A groundbreaking Porsche that is more up-to-date than ever today. You can read more about the Lohner-Porsche at Wikipedia. 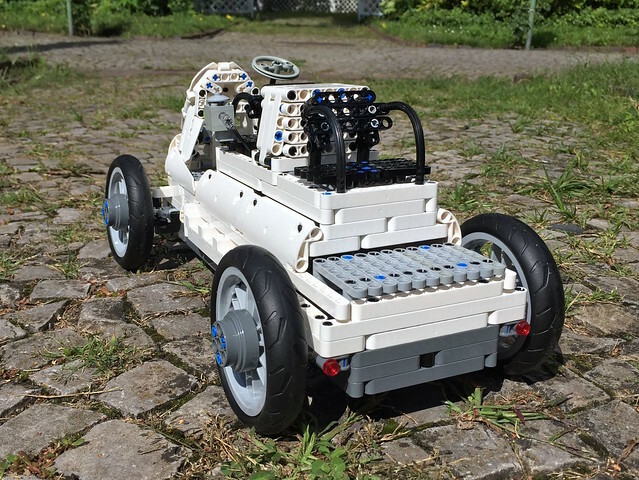 The MOC is also fully electric, of course, but powered by a LEGO® PF M motor. Needless to say, all four wheels are also driven – just like the original. 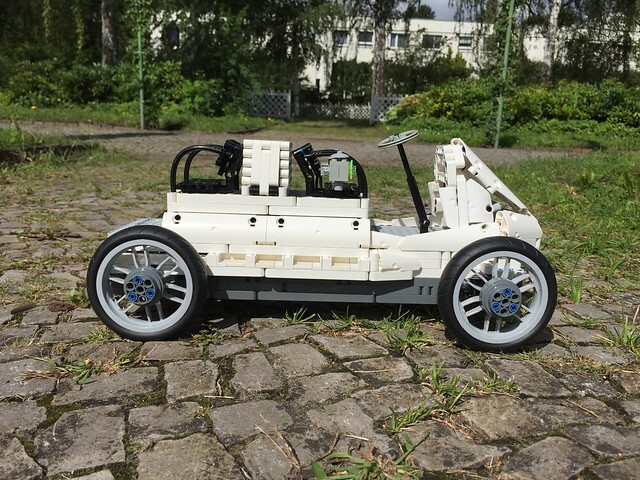 A LEGO® PF servo provides the steering. 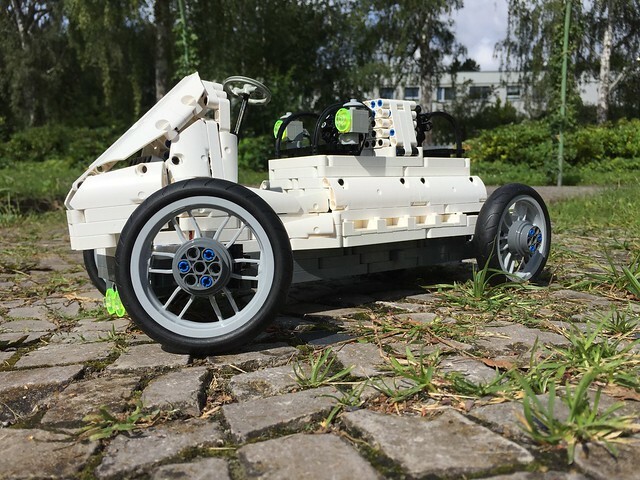 The PF IR receiver V2 controls the vehicle. 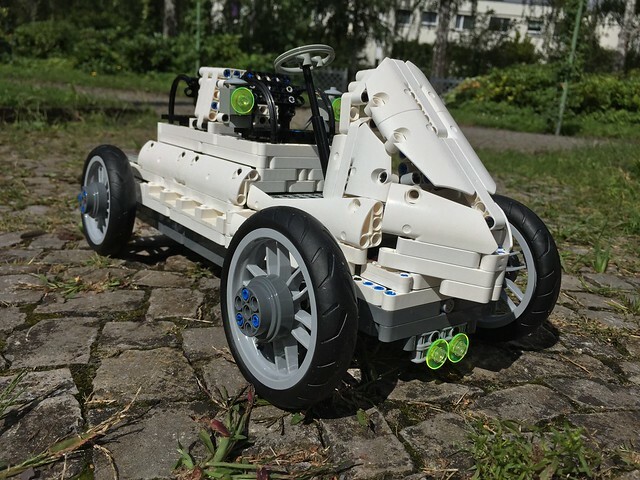 In addition there are three LEGO® Power Functions LED lights. The special difficulty with the MOC was that I had only one picture as a model and had to improvise in several places. Also with the proportions I had to guess.